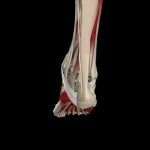 The leg is one of the busiest, most used and highly important parts of the human body. It serves basic functions like standing, walking and running. However, its functionalities are hampered by injuries and infections, both of which can cause severe pain to the lower, upper, right and left parts of the leg. To understand what this medical condition is all about, it is quite necessary to look at its symptoms, diagnosis, causes as well as treatments. The signs and symptoms of leg pain come in many forms. These include positional pain and constant pain, which are usually felt at the lower back part of the body. Patients can also experience a burning and sharp pain, particularly somewhere near the buttocks. The shooting pain is really worse, which can easily slow down the movements and mobility of affected individuals. These symptoms make it hard to move, plus the heaviness of the leg is truly uncomfortable. Furthermore, the leg feels dull because of the tingling sensation or numbness. The stabbing pain associated with this medical condition can actually mean something. Based on research, this kind of pain can be connected to significant trauma, unintended weight loss as well as chills or fever. Furthermore, it can also lead to bladder or bowel dysfunction as well as the progressive weakening of the legs. In order to understand this kind of chronic pain much better, it is necessary to study its causes. Common causes include the anterior cruciate ligament injury or ACL, Achilles tendon rapture and Achilles tendinitis. Muscle cramp, gout and fibromyalgia can also cause significant amounts of pain in the leg area. The same thing also goes for patellar tendinitis, osteoarthritis and herniated disk. People who have varicose veins, stress fractures and knee bursitis are very much susceptible to pain especially in the leg area. Other medical conditions that are closely associated with this kind of pain are Legg-Calve-Perthes disease, peripheral neuropathy as well as bone cancer. When diagnosing this kind of pain, patients need to undergo several examinations and tests. Blood tests are important, especially for determining the real cause of the problem. These tests include the measurement of C-reactive protein, the erythrocyte sedimentation rate and white blood cell count. Imaging is also important, particularly methods like the arteriogram, ultrasound and x-rays. Furthermore, other methods can also help a lot in successful diagnosis such as magnetic resonance imaging, computerized tomography and joint aspiration. For those who want fast and effective relief from this kind of pain, it is good to take over-the-counter drugs like anti-inflammatory steroids, acetaminophen and aspirin. Some trusted pain medicines can also work well for this type of medical condition. Other treatment options include corrective surgery, psychological therapy and physical therapy.